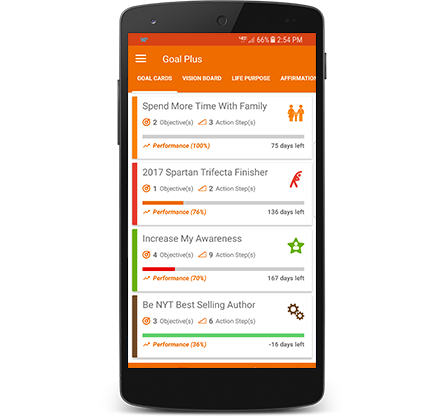 Goal Plus - Hit Your Goals With The Best Goal Setting App! 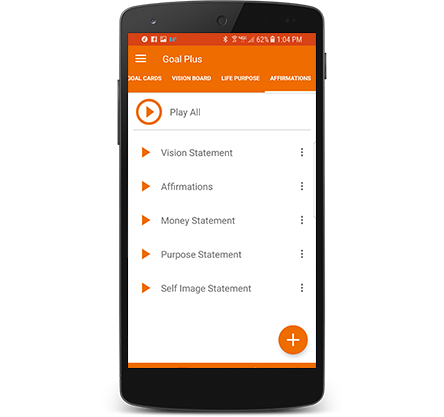 The Goal Plus application was born when two aspiring entrepreneurs decided that they wanted to take their list of goals from handwritten notes to placing them on the world’s most used device, the smartphone. 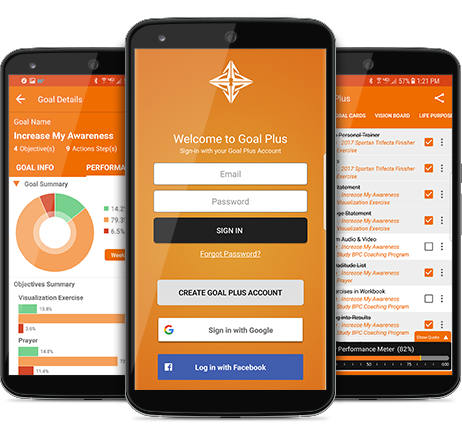 The vision was to integrate Goal Setting into an easy to use, simple application that empowers users to easily manage and track their life goals. Set up custom goal cards with the objectives and action step that will get you there. 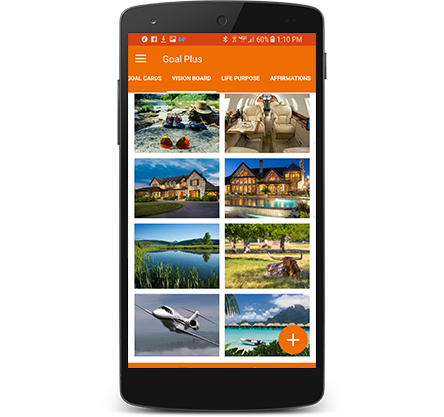 Accelerate your accomplishments with the power of the in-app vision board. Keep your goals on your mind by recording affirmations and vision statements. Share progress updates with goal accountability partners on the community wall. Inspire your friends. 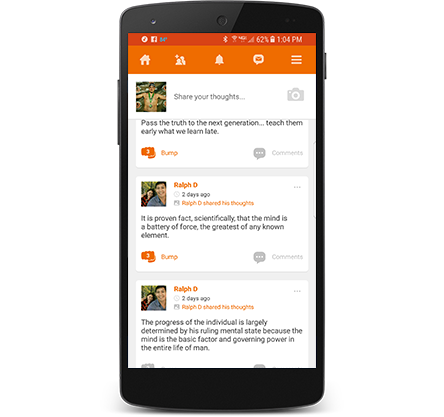 Share your progress to Facebook and other social media platforms. My #1 GOal To App! Best I’ve tried. 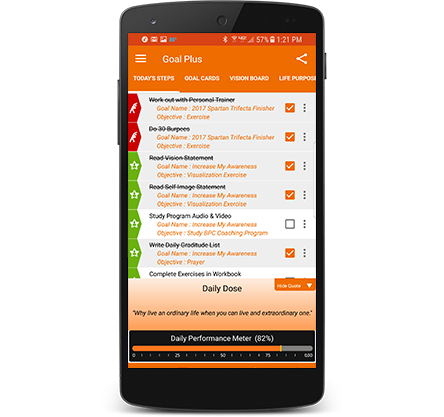 I have given most goal planner apps a try but this one is the most user-friendly. I like the to do list and the journal as I don’t have to download additional apps…I love this app! Amazing tool for personal development, Financial goals, health, tracking workout progress, weight loss, relationships, and just full on holding yourself accountable for the good and bad is incredible with actual data. The best part is challenging friends or loved ones always saying”I wish, I want, or one day” being able to challenge them to actually do, instead of dream is such a great concept. Daily and Weekly performance graphs tell you what percentage of goals have been completed at a glance. 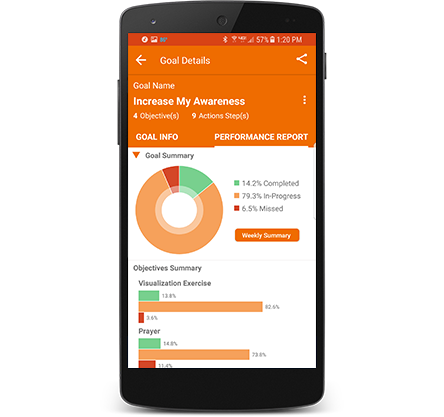 Fully customizable goal cards to help get you to your goal faster than ever. Track objectives and daily action steps. The in-app vision board helps manifest your new reality quicker than ever with the power of visualization right at your fingertips. Maintain rock solid focus by recording your affirmations and vision statements to playback as you go about your day. Share your progress and valuable insights with your new goal achieving friends. Find accountability partners and celebrate each other’s success. Motivate others by sharing your progress to Facebook and other popular social media platforms. Inspire and be inspired!